WARRIOR MOM YOGA – Thursday April 4, 9:30-11:00am in the Parlor. 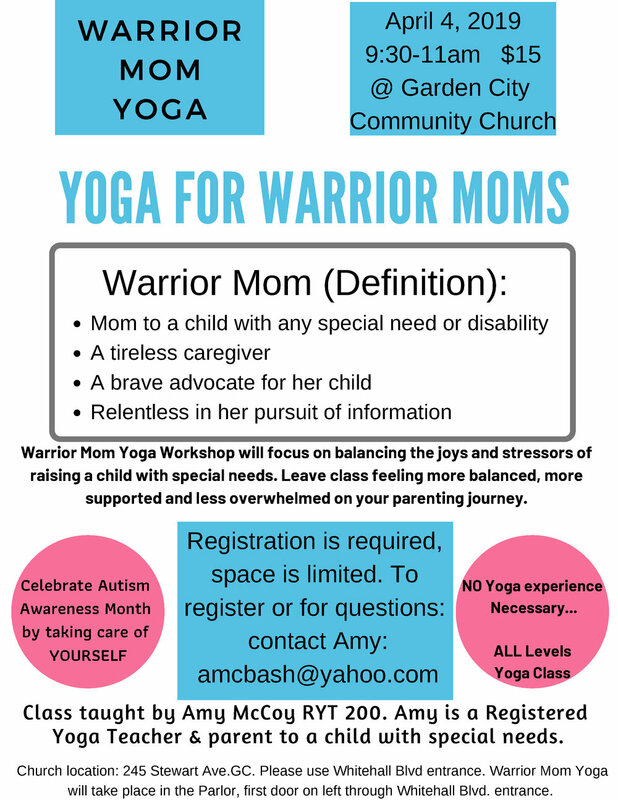 All moms are welcome: this class will focus on meeting the unique needs of Warrior Moms who are parents to children with special needs. All yoga levels welcome. $15 each. Questions? Call Amy at (516) 551-9390 or email amcbash@yahoo.com.